The Philippines has an ambitious plan to deal with its capital's pollution woes—build an entirely new, sustainable city 75 miles from Manila. The proposed New Clark City will be larger than Manhattan and house up to two million people, Business Insider UK reported May 9. The project's current price tag is $14 billion, and it will be funded through private-public partnerships. New Clark City will feature innovative green technology like electric, driverless cars and buildings designed to be energy efficient and conserve water. Two-thirds of the city's area will be devoted to farms and green spaces in an attempt to reduce carbon dioxide emissions. The New Clark City website describes it as "A destination where nature, lifestyle and business, education, and industry converge into a global city based on principles of sustainability." The city is also designed to be resilient to disasters caused by climate change. At 184 feet above sea level, it should be largely safe from flooding. Further, the green space means that rivers have room to expand without flooding infrastructure, the Thomson Reuters Foundation reported in March. "The objective is not simply to build a disaster-resilient city, but rather a successful, innovative and economically competitive city that is also disaster-resilient," RAND Corporation researcher Benjamin Preston told the Thomson Reuters Foundation. The project is being developed by the Bases Conversion and Development Authority (BCDA), owned by the Philippines' government, and the Singapore urban planning firm Surbana Jurong. Surbana Jurong CEO Heang Fine Wong told CNBC that the city would act as a "twin city" to Manila. Manila's Pasig River is so polluted that it can only support janitor fish and water lilies, according to Sciencing. Air pollution in Manila is also 70 percent higher than the World Health Organization's recommended safe levels, the Philippines' Department of Environment and Natural Resources reported. According to the Thomson Reuters foundation, it is also one of the densest cities in the world, so experts think the construction of New Clark City will relieve pressure on the capital and allow it to focus on making itself more sustainable and resilient as well. "(It) has the potential to take pressure off Manila so that Manila can also invest in building a more resilient future," Lauren Sorkin, director for Asia-Pacific with 100 Resilient Cities, told the Thomson Reuters Foundation. 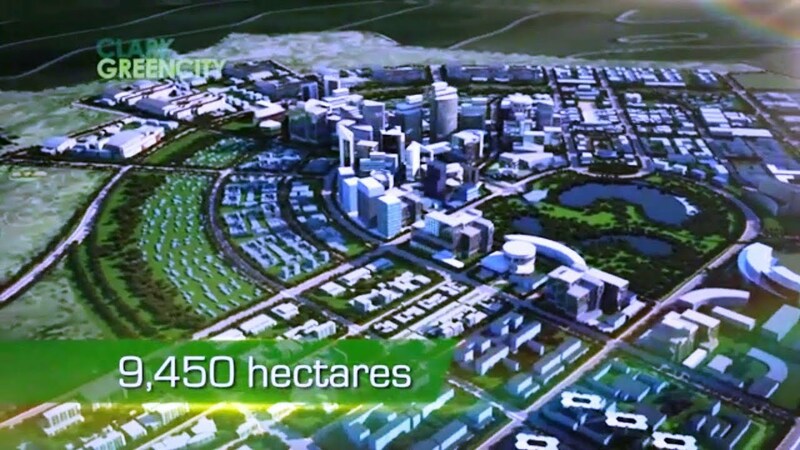 According to BCDA President Vince Dizon, the government is working to develop the new city as quickly as possible while making sure it retains its green design. "We need to strike a balance between fast-paced development that maximises value for the private sector, and protecting open spaces and making the city walkable, green and resilient," Dizon told the Thomson Reuters Foundation. Currently, the BCDA is working to complete the New Clark City sports facility in time for the Philippines to host the Southeast Asian Games in 2019, breaking ground on the complex April 25, the New Clark City website reported. <span style="display:block;position:relative;padding-top:56.25%;" class="rm-shortcode" data-rm-shortcode-id="NV2HE01555995177"><iframe lazy-loadable="true" src="https://www.youtube.com/embed/I6Z5JpsItEs?rel=0?enablejsapi=1" width="100%" height="auto" frameborder="0" scrolling="no" style="position:absolute;top:0;left:0;width:100%;height:100%;"></iframe></span><p>Mayer said his department was working with the Riverside County Sheriff and the District Attorney's office to build an animal cruelty case against the woman.<br></p><p>"There is no excuse for dumping puppies," Mayer said. "Especially in today's age when we or other shelters would be willing to get these animals to foster parents or rescue partners. This was a shameful act. "</p><p>The puppies, which are believed to be terrier mixes, were initially cared for by the department's veterinary team. Southern California group <a href="http://meoowzresq.org/" target="_blank">MeoowzResQ</a>, which normally specializes in cat and kitten fostering, has agreed to take over their treatment. The puppies need to be bottle fed and closely watched for a few weeks, <a href="https://www.newsweek.com/woman-caught-video-tossing-plastic-bag-full-3-day-old-puppies-near-coachella-1402289" target="_blank">Newsweek reported</a>.</p><p>The department emphasized that there is never any need to abandon puppies, Newsweek reported. There are shelters open on weekdays in the county which have re-homed around 5,000 dogs between 2017 and 2018, according to department data.</p><p>It is not yet known how severe a penalty the woman will face for her actions. California animal cruelty laws allow for both misdemeanor and felony charges.</p>According to the <a href="https://www.humanesociety.org/resources/pets-numbers" target="_blank">best estimates</a> of the <a href="https://www.humanesociety.org/" target="_blank">Humane Society of the United States</a>, six to eight million cats and dogs enter shelters in the U.S. each year. Around four million are adopted from shelters annually, and sadly three million are euthanized. Of those euthanized, around 2.4 million were healthy and could have been treated and adopted.